Back in the 60's when Volkswagen Beetle carcasses littered America's streets like used syringes in NYC's Central Park, a California surfer / artist / boat-builder / engineer named Bruce Meyers started a company out of Fountain Valley building kit bodies that mounted on shortened Type 1 chassis. 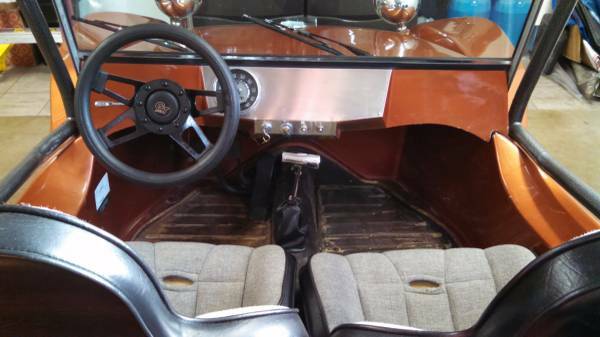 This next feature might not be an original Meyers Manx, but it looks like a lot of fun for the cash. 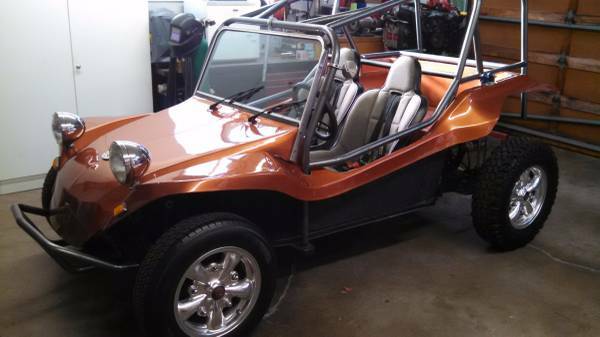 Find this 1960 Volkswagen Dune Buggy offered for $3,895 in Campbell, CA via craigslist. Obviously you aren't going to find a running / driving / good-condition Buggy for the above asking price, so there has to be a catch -- this one is missing its VW engine. The seller pulled it in preparation for a Subaru boxer engine swap, but is abandoning the project. However, you could easily contact someone like the DT Radio Show sponsor European Motorworks and get a new aircooled noise maker.